High blood pressure is known as the “silent killer” because it often has no symptoms. Left uncontrolled, high blood pressure can lead to heart disease, heart attack, stroke, kidney disease, or blindness. Making some lifestyle changes and taking any prescribed medication should keep your blood pressure under control. 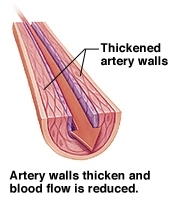 As blood moves through your body, it presses against the inside walls of arteries (blood vessels that carry blood to the body). 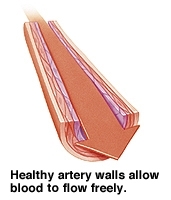 Frequent high blood pressure can cause changes in the artery walls. 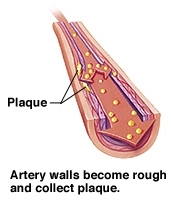 The walls thicken and become rough, which leads to a buildup of plaque (a fatty material). Your blood pressure is too high if it measures 140/90 (140 over 90) or higher most of the time. The top number is the pressure of blood against the artery walls during a heartbeat(systolic). The bottom number is the pressure of blood against artery walls between heartbeats (diastolic).